A globally integrated energy infrastructure group, Wasco Energy is committed to serving its expanding pool of clients around the world. Through these distinct products and service offerings, Its Group serves the needs of clients across Asia and Asia Pacific, the Middle East, Africa, Europe and the Americas. It operates in 14 locations around the world, including Malaysia, Singapore, Indonesia, Australia, China, India, the U.A.E., Nigeria and the U.S.A.
As a brand, Wasco Energy is a concept born to create a group of companies that harmonise the virtues and values of both Eastern and Western cultures to take advantage of the opportunities offered by the global energy sector. Wasco Energy is a truly accessible choice and provides the industry with open and innovative perspectives that are driven by its passion for excellence. The global “Upstream” activity is co-ordinated through Hunting Energy Services. This builds on a history that has spanned one hundred years of innovation in developing products and techniques to enable the successful development of customer assets. With a large presence in North America, Europe, the Middle East and Asia. Its Well Construction division provides products and services to oil and gas customers in the drilling phase of exploration and production programmes. Typically the company provides Casing and Oil Country Tubular Goods (OCTG) in the Construction of the well bore in an oil and gas well; in house design (Seal-Lock) and threading of Premium Connections are well suited to the deeper and more challenging offshore environments. Its Well Completion division oversees the global manufacture of accessories and completion equipment for the worlds principle producing regions. Providing products, proprietary technologies, engineering expertise and services below the wellhead. OCTG supply, advanced manufacturing techniques, high specification casing and premium connections for global markets, 2-step tubing for the US. Speciality threading, OEM manufacturing and proprietary down hole tools used by the upstream oil and gas companies. Its Well Intervention division spans a range of services for Equipment Manufacturing and supply for Down Hole Intervention in producing wells for logging or other well services. The growth of this division by organic means and through acquisition has allowed for the integration of an extensive range of pressure control equipment technologies, wireline and slickline tools, together with intervention expertise into the Hunting portfolio. 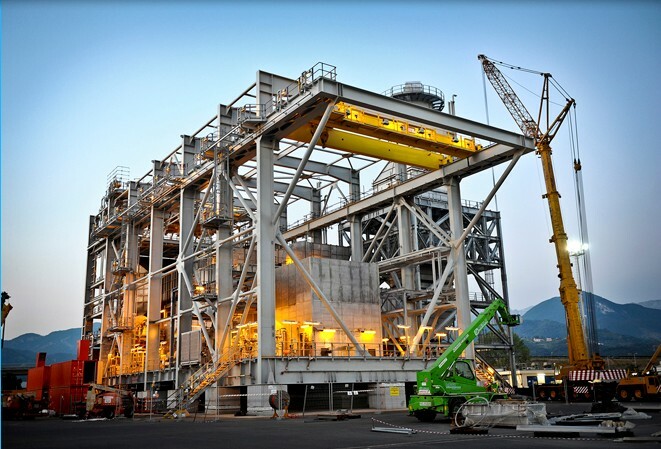 GE Oil & Gas is a world leader in advanced technology equipment and services for all segments of the oil and gas industry, from exploration & production to downstream. 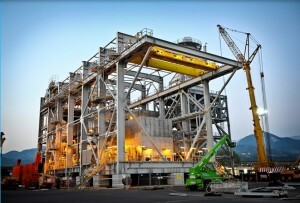 GE has developed a new solution for gas turbine air filtration to enhance efficiency and availability. Contaminating agents in the air, such as dust particles and salt oxides, can enter the gas turbine, reducing the overall efficiency of the engine and potentially causing serious mechanical damage. FMC Technologies, Inc. (NYSE:FTI) is a leading global provider of technology solutions for the energy industry. Named by FORTUNE Magazine as the World’s Most Admired Oil and Gas Equipment, Service Company in 2012, the Company has approximately 18,400 employees and operates 30 production facilities in 16 countries. FMC Technologies designs, manufactures and services technologically sophisticated systems and products such as subsea production and processing systems, surface wellhead systems, high pressure fluid control equipment, measurement solutions, and marine loading systems for the oil and gas industry. From a continuous spray pump in California’s orchards in the 1880s to some of the world’s most sophisticated technology and equipment for the oilfield service, FMC Technologies and its predecessor companies have a long history of technical innovation. FMC Technologies traces its roots to 1884 when inventor John Bean developed a new type of spray pump to combat San Jose scale in California’s orchards. When neighbors clamored for the device, Bean Spray Pump Company was born. DENCA SERVICES LIMITED was registered in Nigeria as a Private Limited. It is a wholly indigenous company incorporated under the Companies and Allied Matters Act of 1990 by the Corporate Affairs Commission in 1987 with RC. No. 91546, and have her corporate headquarters at No. 20, Park Lane, Apapa GRA, Apapa, Lagos State. The company has made tremendous progress and consolidation within its period of existence as a going concern. It has witnessed rapid growth and expansion in its area of business and has made remarkable progress under the track leadership of Chief Dennis Okafor as Chairman/CEO, and Eugene Anachebe as Managing Director. 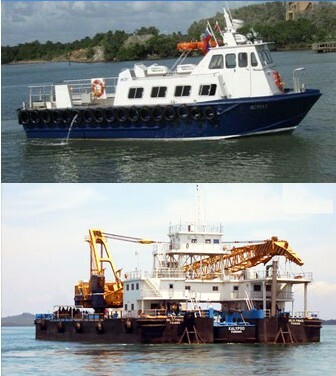 Denca Services Limited has strived with their resources to be constant in services provision through fast delivery of containers from the seaports, airports, cargo consolidation, bonded terminal operations, fast tracking, terminal to terminal delivery, logistics, maritime operation through provision of water barges, house boats, crew boats vessel suplies, and general logistics supplies. They provide oil field services engineering, Tank farm and pipeline construction, maritime logistics, distribution of oil and gas products, solid mineral exploration as well as water engineering services. TNK-BP Holding led a rise in Russian oil output to a new post-Soviet high of 10.53 million barrels per day (bpd) in June, up 0.5 percent from the previous month, Energy Ministry data showed on Tuesday. * Russia’s oil production peaked at 11.41 million bpd in 1988 when it was still part of the former Soviet Union, according to the International Energy Agency. Russia accounted for 90 percent of Soviet output. * In 1991, in the final days of the Soviet Union, Russia’s output fell to 10.4 million bpd, down 9.5 percent from 1990 and off 17.7 percent from the 1988 peak. Many analysts say the slump in oil production and prices contributed to the fall of the 70-year-old Communist empire. * In 1996, when Boris Yeltsin was re-elected as Russia’s president, oil production went into a three-year period of stagnation amid under-investment and slowing demand. * Russian oil output fell by about 1 percent in 2008 from the previous year to around 9.8 million bpd, its first decline in a decade as crude prices collapsed as a consequence of a worldwide economic downturn. * Russian oil output grew by around 1.5 percent in 2009 to the then post-Soviet high of an average of 9.925 million bpd for the year and in September exceeded a monthly level of 10 million bpd for the first time since the collapse of the Soviet Union. * In 2010 Russia overtook Saudi Arabia, which restrains its output when it deems it necessary, as the world’s largest producer as new fields were launched, including Vankor, Uvat and Talakan. With over 70 offices in more than 50 countries located in major oil-producing provinces, Core Laboratories provides services to the world’s major, national, and independent oil companies. Core Laboratories’ data describing the reservoir system are used by engineers, geologists, and geophysicists worldwide to enhance hydrocarbon production so that it will exceed the 40% average oilfield recovery factor. Two production enhancement methods commonly used are hydraulic fracturing of the reservoir rock to improve flow and flooding the field with water, carbon dioxide, nitrogen, or hydrocarbon gases to force more oil and gas to the wellbore. The most effective means of enhancing production is controlling formation damage, the leading cause of underperforming wells worldwide. No one can do more than Core Laboratories to identify, remediate, and minimize the damage to producing formations that can occur during drilling and completion of a well. Oil succumbed to a bit of profit-taking during Friday’ s Asian session after racing to a fourth consecutive gain during Thursday’s U.S. session. On the New York Mercantile Exchange, light, sweet crude futures for August delivery fell 0.43% to USD96.64 per barrel in Asian trading Friday after settling up 1.62% at USD97.05 a barrel on Thursday in the U.S.
Traders boosted oil futures following a spate of decent U.S. data points. In U.S. economic news out Thursday, the National Association of Realtors said its pending home sales index jumped 6.7% to 112.3 last month. Signed contracts are up 12.1% in the past year. The Commerce Department said personal incomes rose 0.5%, or $69.4 billion, in May. Personal spending increased 0.3%. Economists expected a 0.2% gain in incomes and a 0.4% increase in spending. The Labor Department said weekly jobless claims fell by 9,000 to 346,000 last week. Economists expected a decline to 345,000 claims. For the four weeks ending June 22, claims declined by an average of 2,750 to 345,750. The U.S. is the world’s largest oil consumer. Separately, a press report out Thursday citing Harvard University said the U.S. could be the world’s largest oil producer by 2017 due to the shale boom there, but the report added that oil must stay above $75 per barrel in order for that to happen. Soaring production at shale plays in states such as North Dakota and Texas have helped U.S. crude output reach its highest levels in multiple decades and by some estimates, the U.S. could be producing more crude than it imports within the next two years. Elsewhere, Brent futures for August delivery fell 0.20% to USD102.47 per barrel on the ICE Futures Exchange. SYDNEY–Woodside Petroleum Ltd. said Friday it has agreed to buy controlling stakes in about a dozen deepwater oil and gas exploration blocks off the coast of Ireland, as the Australian company expands offshore to offset slow progress on planned developments at home. Woodside, Australia’s biggest oil company by output after BHP Billiton Ltd. (BHP.AU), said it has agreed to buy an 85% interest in seven blocks in the Porcupine Basin off Ireland’s southwest coast from Petrel Resources PLC. . In a separate deal, it has also agreed to buy a 90% interest in another six blocks in the same basin from closely-held Irish company Bluestack Energy Ltd. Terms of the deal were not disclosed by Woodside. “The Porcupine Basin is an emerging oil and gas province which has seen increasing industry activity over the past several years,” Woodside Chief Executive Peter Coleman said in a filing. Woodside put an expansion of its $15 billion Pluto gas-export facility in Western Australia state on ice last year after it failed to find enough gas nearby and talks with rival suppliers broke down. High costs have also prompted it to abandon plans to develop the Browse gas resource in Western Australia using an onshore liquefied natural gas plant, while development of the Sunrise natural gas resource is mired in a political dispute with the tiny nation of East Timor. Aware of a looming production plateau, Woodside last year bought some exploration acreage in Myanmar and agreed to acquire a stake in the massive Leviathan natural gas discovery offshore Israel for more than US$1.2 billion. generating marketable and valuable hydrocarbon products. billion. The company is listed on the Oslo Stock Exchange.